♥ on a plate. made with love. I’ve made these a few times now. so i decided to make some for him to try! and since I bought strawberries from our visit to Costco that day. 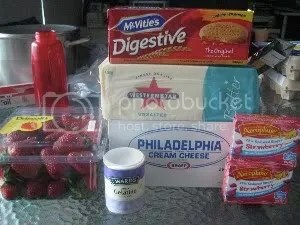 see the HUGE box of Philly cream cheese and the HUGE block of unsalted butter? cos it’s buying in bulk and buying them at a cheaper price! 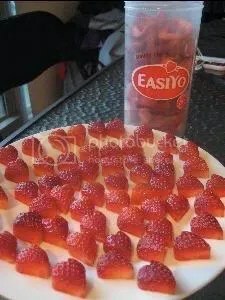 and the strawberries were cheap and super sweet. see the block of butter in comparison to Peggy’s face? 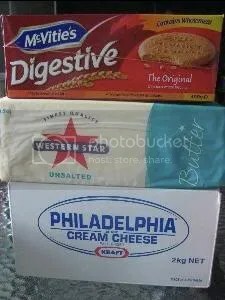 the cream cheese and the butter were bigger than the box of digestives for the first time! here is the recipe so you all can enjoy! 2. Divide and press onto the base of the try. Chill for 15mins or until needed. 3. Prick base with the back of a skewer (I used a fork) before pouring in the filling. 1. 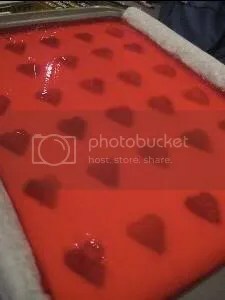 Using a small heart shaped cutter (1″) and cut hearts out of the strawberry halves. Place on a plate lined with paper towel. 2. 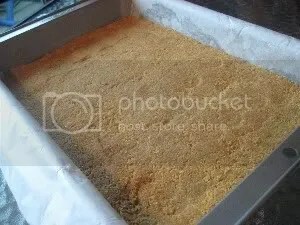 Place gelatine and sugar in a bowl. 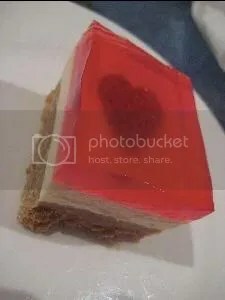 Pour boiling water over and stir until gelatine has dissolved. 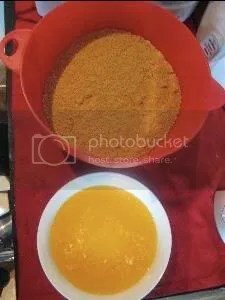 If it doesn’t dissolve completely, place this bowl over a bigger bowl filled with boiling hot water. 3. Cream the cream cheese and vanilla essence together. 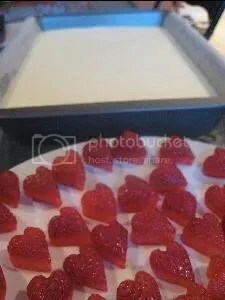 Add the gelatine syrup gradually and cream until smooth. 4. Place 20 hearts on each try, partially submerged in the cheese. 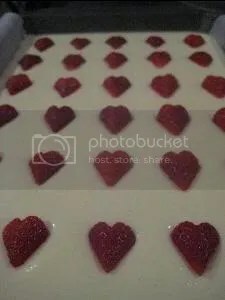 (I refrigerate the cream cheese for 15 mins before submerging the strawberries. Just so they don’t sink in all the way). Refrigerate until firm about 2 hours. 1. 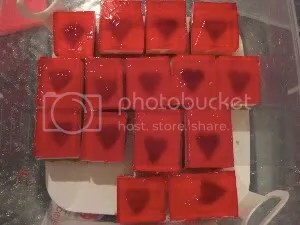 Dissolve Jell’O in boiling water. Add cold water and stir well. 2. Cool completely before pouring over the cheese filling. 3. Refrigerate for at least 4 hours before serving. we have a bit to last us for the week! Baby’s verdict : it’s damn good la! haha. WHEEEE! 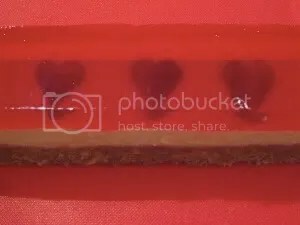 every time I cut through the jelly hearts I cleaned the knife so that the cheese won’t smudge all over the others! I’m now a proud member! Just want to check what size of baking pan did you use?